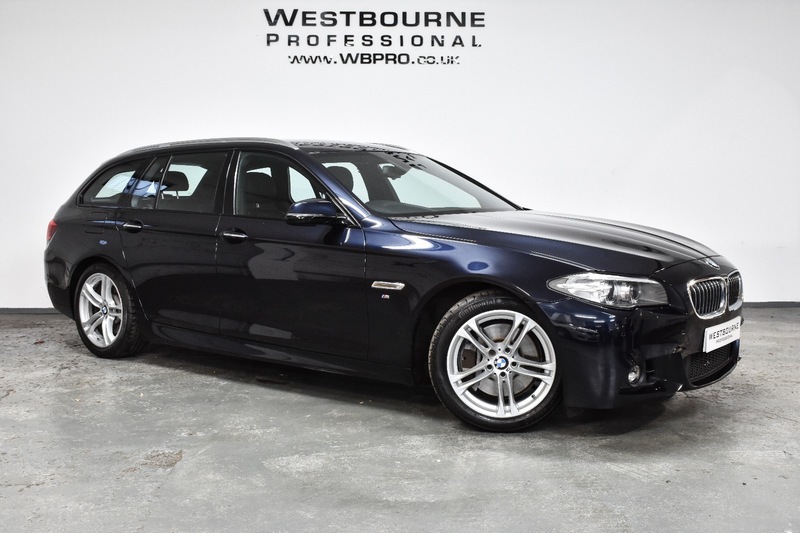 Superb example of this highly sought after 535d M Sport Touring, finished in stunning Carbon Black Metallic with Black Dakota leather. The excellent specification includes Satellite Navigation, Heated Electric Leather Seats, Power Tailgate, Front & Rear Parking Sensors, Cruise Control, Automatic Dual Zone Climate Control, Automatic Xenon Headlights, 18" Alloy Wheels, Bluetooth Telephone & Audio Connectivity, DAB Radio, Ambient Interior Lighting and much more. Supplied with full service history, including a service prior to sale and MOT to December 2019.